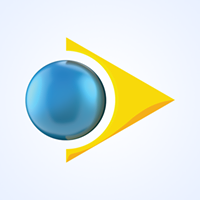 General TV Channel / Rede Brasil de Comunicação is a radio and TV network linked to Rede Estação that has as president of the group João Florentino. The station has its headquarters in Recife, Pernambuco. The Brazil Network of Communication (RBC) forms a cluster of radio and TV stations linked to IEADPE (Evangelical Church Assembly of God in Pernambuco), under the presidency of Pr. Ailton José Alves. The RBC generates a religious (evangelical), journalistic, and educational program and also transmits the main events of IEADPE. RBC-TV currently covers the main cities of the state, more than 20 radio stations reach every state of Pernambuco and neighboring states as Paraíba, Alagoas, Bahia and others.